Getting your debt paid off is perhaps the most important suggestion a finance blogger can give you. I have written many posts on this subject. Still when a guest blogger offers to extend advice on reducing debt burden, we can’t simply say ‘No’. 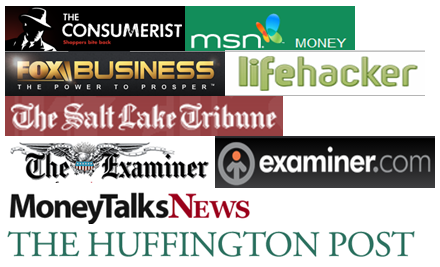 I’d love to present you thousands of articles to reduce your debt. Enjoy this very encouraging post from Bill. This is Bills 4th guest post on my blog. Just like it is normal to have addictions and habits, having debt is slowly becoming a tradition amongst a number of people. According to Kim Ella financial expert and former editor at Yahoo, mounting debt is possibly the most dangerous financial hazard facing consumers today. There are various reasons for mounting debt; some may be genuine, others might be fabricated. Whatever the reason is, the thought of owing someone money is ordinarily agitating and at most times, it leads to broken promises, unexpected end to relationships, depression or even loss of property through auctioneering. The people who permanently get into the habit of being financially indebted always have different ways of getting rid of debts. Some will opt for loan from financial institutions, a few will keep up with the excuses for not clearing it, and quite a large number will go for the hide and seek game, where they end up not selling the debts. Creating an emergency fund whilst clearing up debts may seem erratic since the money could be used to pay off debts. Although this may be true, when a crisis comes up, an emergency fund provides a means to use instead of a credit card or getting into more debts. The ideal emergency fund is six to twelve months of living expenses. If you cannot pay off your debts, downsize on your apartment or car. Get a smaller apartment that will cost you much less, and go for a cheaper quality used car, or become a one household car. This will cut on costs hence more finances for clearing your debt. 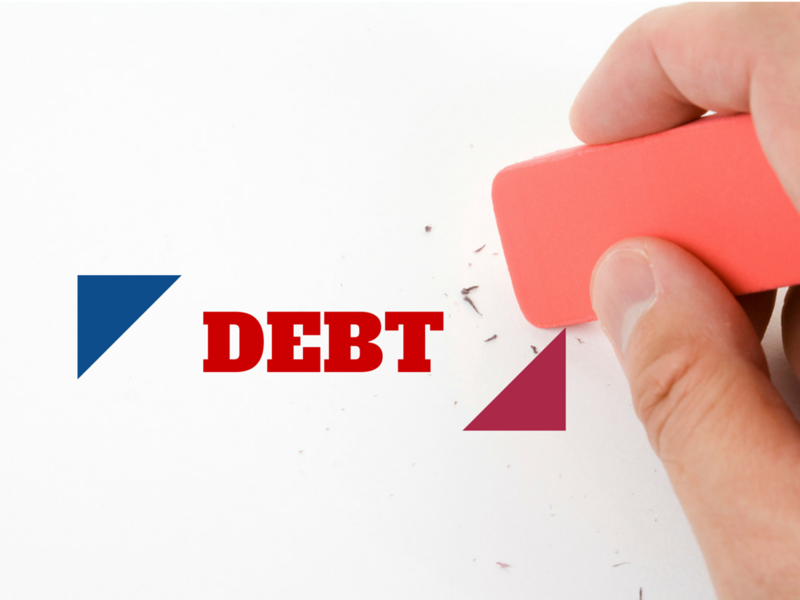 The first step to clearing your debt is to stop getting more debts. Do not get a debt to pay off another and stop borrowing money for impulses shopping or other unnecessary activities. The more your debt increases, the harder you’ll work to pay them off. Get another source of money preferably another job or investing in Gold IRA which will help settle your debts faster. If I you cannot get another job, work for extra hours or shifts and ask for payment. Use all the money you make out of this for solely settling your debts and nothing else. The more you put towards your debt, the faster you can pay off your debt for good. Always spend less than what you plan to spend. Many people get into debt and stay in debt because they tend to buy what they want, when they want. Not even the filthy rich can afford to buy what they want. If you want something do not buy it unless you’ve the money, and if you can be satisfied with less than you would ideally want, even temporarily, use the money you save to pay down your debt. By the time your debt is paid off, you’ll be probably have adjusted to your new priorities and you can use the money you’re saving for other financial priorities. David L. Ramsey, a television personality and the creator of the debt snowball idea, encourages the use of the debt snowball which should be made up of an ascending list of your debts, excluding the house. The smallest balance should be your number one priority. Do not worry about interest rates unless two debts have similar payoffs. You need some quick wins in order to stay pumped up about getting out of debt. Paying off debt is not always about math, it’s about motivation. Personal finance is 20% head knowledge and 80% behavior. When you start knocking off the easier debts, you’ll see results and you’ll stay motivated to dump your debt. According to Microsoft service network money, do not borrow money for something too extravagant especially if it will take too long for you to pay back for it. The debt and stress incurred for that specific purchase will not be worth it. If you have to borrow, match the repayment term to the life of that purchase. As much as very many people never stick to their budgets, it’s imperative to work with one if you intend to clear all your debts. Categorize your spending in two groups, one of them being fixed expenses group which should include rent, loans, utilities and mortgage payments, while the other being variable bills such as groceries, gas, clothing and entertainment. Be honest with yourself and write down what you spend and not what you thing should be spending. Afterwards, find out the expenses you can reduce or do without, and channel the money towards paying off you’re your debts. If it’s your credit card cards, freeze them and opt for debit cards, cash or cheese. Pay bills every pay day. Do more at home for instance cook at home instead of eating in a hotel. Rent out what you can so that you make extra money. Negotiate lower interest rates with creditors so as to pay debt off faster, or obtain relief during a difficult time. Sell the assets you do not use or necessarily need. Consult a credit counselor for more advice or tips for clearing your debts. As the last resort, cash out your life insurance policy. I’d be more than happy if you can leave your thoughts below on the comment box for more discussion. Have a Happy Paying off Debts Day!!! About the Author : Bill Achola is a financial publisher. If you’re looking a long term investment plan, then read his amazing blog post about Quick Tips about Early Withdrawal from Roth 401k Plan and Benefits. These are some great ideas that I need to try. Emergency funds seem like the last thing on your mind when you’re in debt, but in the long run it’s definitely worth it to have some on hand. As the bankers like to day, those who do not understand compound interest are doomed to pay it. If you find it difficult to pay off debts all by yourself then you can always consult the debt relief options offered by reliable debt relief companies.